Did you host a party? Did you take photos? Send them our way! We'd love to make a slideshow out of them all! 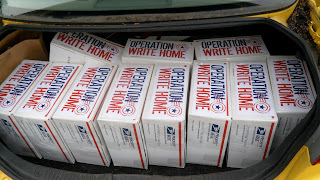 Email photos to birthday@operationwritehome.org with BASH PHOTOS in the subject line. Send them in by Oct 15th and we'll try to get that put together by the first of November. (No promises to do things too fast, we're busy packing and shipping right now!) This photo below is one of our heroes, just back from his tour of duty - making a Christmas card at a Birthday Bash at Fort Lewis! Welcome home, hero!!!! Did your event get media coverage? Check out an article in the Everest Herald on an OWH Birthday Bash held in Wisconsin! Did you local paper or tv station cover your event? 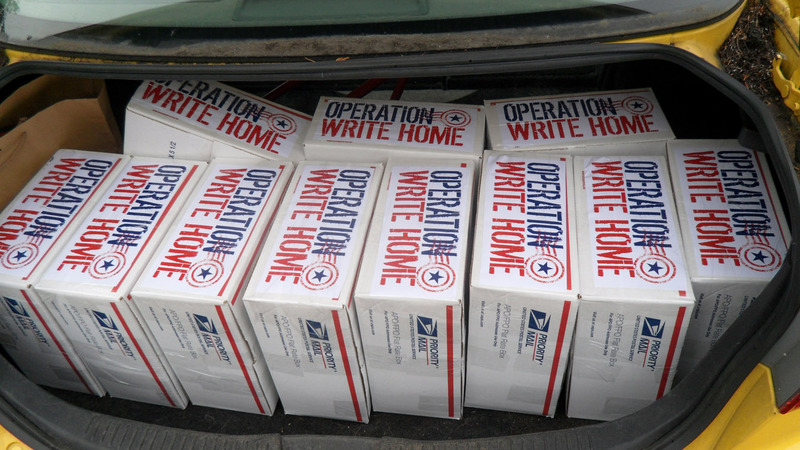 Send us a link to the birthday@operationwritehome.org address so we can see it and share! And now, without further ado, our list for this week! We received 20,955 cards this week....and our shippers are dancing as fast as they can to get them all processed and ready to go. Please please please be patient with emails; do not email to ask if your cards were received, just check the list each Thursday. We try to shoot an email out to everyone who sent in cards, but with 30-40 packages a day, some can get missed, and we apologize for that. Thanks for understanding! This week 13,978 cards were mailed out - at a cost of $525! Just a few of the boxes that went out this week! Birthday Bash cards - Sept 30!! 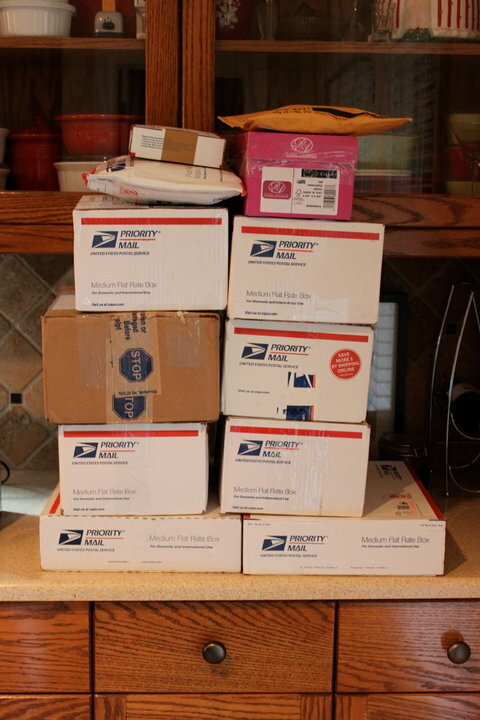 Well, this week saw our shippers processing a record amount of mail in just one week: 26,274 cards! Yes 26,274!! The avalanche has truly begun! Many many thanks to all who are stamping the backs of their cards, and learning "the tuck" so well - you're making our job SO much more manageable. This list will be just the names and hometowns, instead of including our normal comments. That all takes up a ton of time, and when we've got 40 boxes in a pile in front of us, and 40 reports to write, anything we can do to shave a little time off so we can spend it sorting and packing is a huge help! On some days, our shippers are resorting to sending a 'group' email to everyone sending in cards that day - answering a few questions for those asking things, but bccing the whole group of cardmakers on one email. It saves time, and also gets word to you that your cards arrived, and helps get out answers as quick as we can. And one additional plea - if you don't get an email when you think you should have, please don't send emails and facebook messages about it til after the following Thankful Thursday report is out. We get tons of email every day, and if we can cut down on a little of that with just a little patience to wait til Thursday, we can keep up better with things like sorting all that mail. Thanks! Thanks to everyone who's been sending in holiday and other themed cards lately, you're awesome! As you can see by the photo, we get some serious volume - which means we're having less and less time to deal with the normal hospital and other issues. Please avoid using children's craft supplies for cards. They don't hold up to the rigors ahead of them. This includes construction paper, foamies, ittybitty stickers, and other childrens' craft supplies - they are not made to last. Our heroes have told us these don't get used - remember, it's adults picking out cards to send to kids, not kids choosing a card because of its foamies. *These supplies are FINE for AnyHero mail from kids though - our heroes don't mind a bit if things fall off if it's got a note in crayon on it! c) blank cards will also be more versatile for our heroes. If you're sending more than 20 of a design (and that includes the same design/papers with a switch of embellishment), we really really really need you to be sending them in weeks earlier. We're getting boxes right now with tons of the same card, and we're down to the last boxes of halloween cards going out - so we have limited ability to spread them out. A lot of these will have to be stored til next year, and we'd prefer not to have to figure out storage for them. 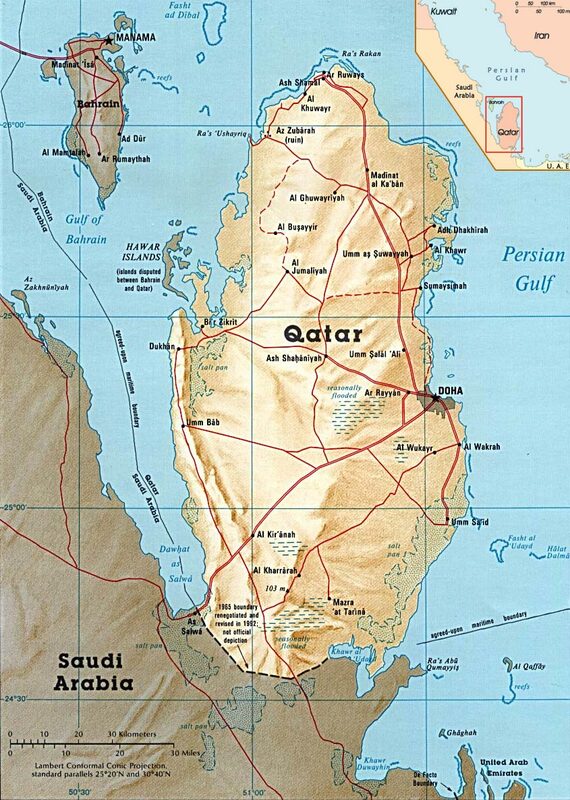 OWH has no warehouse, only our shippers' spare bedrooms! 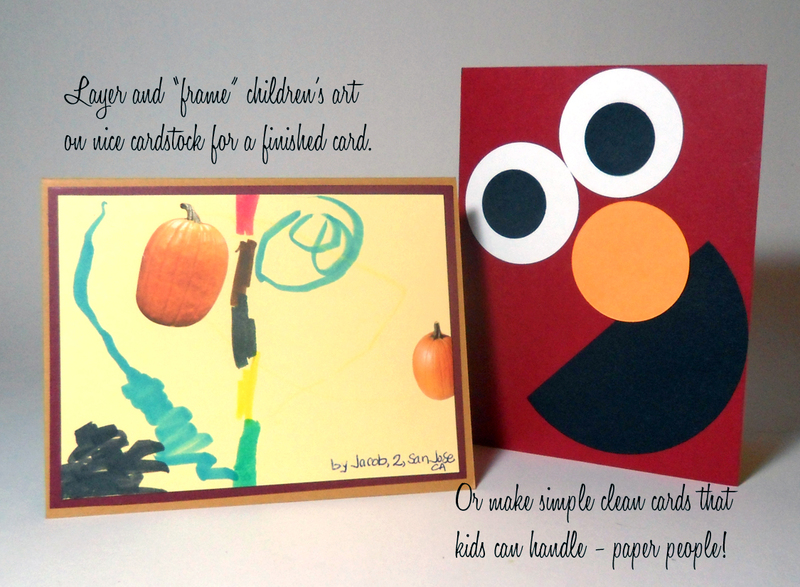 When crafting with kids, please have them write notes inside their cards. Some young folks can make a great card, and with kits they can be more capable; but if you're turning children loose with markers and stickers, please consider AnyHero mail. We're getting more and more "sticker sneeze" cards all the time (cards with just stickers all over), cards that are cut/folded all kinds of crooked, cards that don't fit into any envelope - and those aren't ones our heroes tell us they would like to write home on. But kids' crazy art is GREAT to decorate their barracks! Please be sure to include a count on your packing slip. We're getting a lot of blank ones - if you don't have time to count them, imagine how hard it is for us to take that time. Thanks again for allllll that you do - keep up the awesome work! This week 12,260 cards were mailed out - at a cost of $450.00! With the help of our service dogs, of course! Ciara...and her boyfriend Toby! Halloween - today Sept 20! 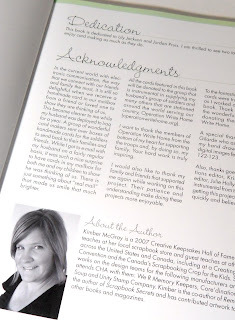 Kimber McGray, longtime friend of OWH, asked for submissions for a book that she was pitching - and she wanted to talk about OWH in it! 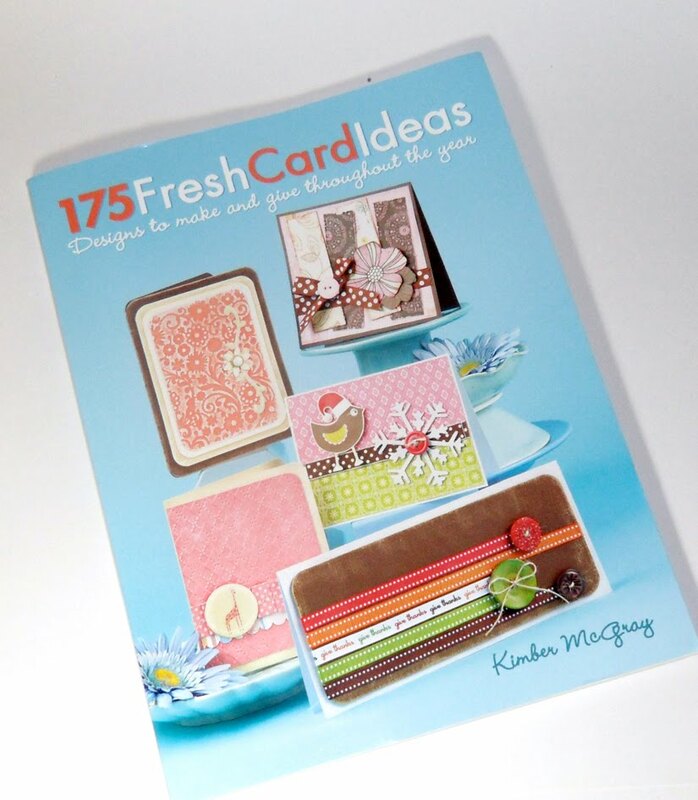 The book is out now, available at Amazon and at your local craft store, hopefully - it's called 175 Fresh Card Ideas! Click to zoom in to read part of the Acknowledgements!!!! The whole book is FANTASTIC and has the most amazing ideas in it. 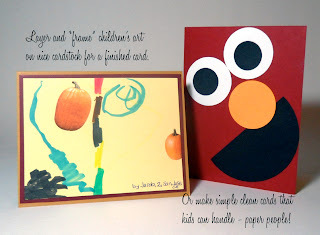 You'll get lots of great ideas for cards to make all year long! Starting next week, this list will be just the names and hometowns, instead of including our normal comments. That all takes up a ton of time, and when we've got 40 boxes in a pile in front of us, and 40 reports to write, anything we can do to shave a little time off so we can spend it sorting and packing is a huge help! Thank you all SO much for your patience and grace for us! Now...the report for this week! 18,295 cards came in - 190 packages! - it's been just a little crazy at our shippers' houses! The midwest has really pulled its weight this week with nearly half the total quantity....please be extra nice to Kris, she's working double OT to keep up! Mad Hatters of the Historic Village of Old Bridge: Linda B, Fran M., and Catherine S. thank you for the Halloween cards! Thanks too to Fran's grands for the Hero Mail! Grand indeed! Joanne W. of Indian Land, SC, thank you for the super cards! Fun seasonal cards! Diane W. of Stoneham, MA, thank you for the pretty cards and generous donation! Love the basket card! Donna C. of Stamford, CT, thank you for your clever cards! You got all the Holidays! Thanks for the Hero post cards! Lily H. of Pittsburgh, PA, thanks for the Hero Mail!!! 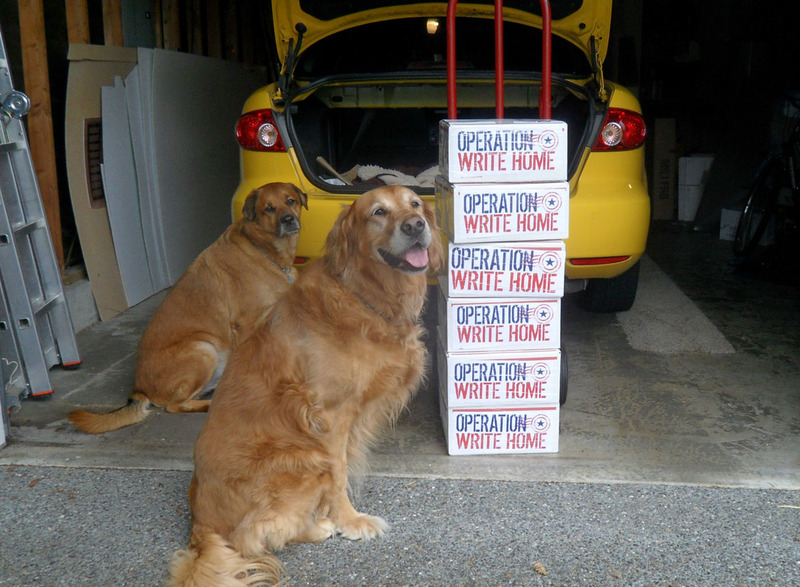 Sandy S. of Jamestown, NC, thank you for the beautiful cards for our troops and generous donation for shipping! So many pretty designs! Sandy J. of Westerville, OH, thank you for the wonderful collection of cards for our heroes and the Hero Mail! Love the green hues! Thank you, Carol W. in South Strafford, VT and friend, Patricia H. for the terrific collection of cards for our heroes! Thanks too for the generous donation and the Hero Mail! Thank you Sybilla G. and Eileen K. of Gilbertsville, PA for the terrific cards, generous donation, and the hero mail! Awesome cards, ladies! Thank you Judy K. of Orfordville, WI for the pretty cards for our heroes! Thank you too for the generous donation! Thank you Lori R. of Springfield, VA for these terrific cards! Great coloring! Thank you Cheryl B. of Claypool, IN!! Your cards are gorgeous! Thanks too for the donation for shipping and the candy! I love to put candy in the boxes! Maura H of Broadalbin, NY, thank you for the "mixed bag!" Thanks for the Hero Mail too! Awesome job! Thank you, Rebecca P. of VA Beach, VA! Fabulous cards for our heroes! Thanks bunches for all the hero mail! Vi T. of Ft, Walton Beach, FL, thank you for these cards for our heroes!! Thank you Pat C of Shalimar, FL and the Pacesetters Stamp Group for a beautiful collection of cards for our heroes to send home to family! Terri D. of Lewiston, ME, thank you for the cards and donation! Thanks especially for the cards for our heroes to send to their children! Pam B. of White Lake, MI, these cards made from ATCs are brilliant! Thank you!! Seongsook D. of Sacremento, CA, thank you for this lovely box of cards for our troops! Thanks too fo the donation and the Hero Mail! You rock! Julie K. of Brunswick, OH, thank "ewe" for the beautiful cards! Something for everyone! Amy B. of Pataskala, OH, thank you for this terrific collection of cards! A BIG thanks for the Hero mail! Too cute! Rosie G. of Forest, VA, thank you for this nice collection of cards! There's something for everyone! Awesome! Thanks Lisa S. of Vaughnsville, OH for your beautiful cards! Thanks too for collecting and sending the cards from the other crafters as well! Kris B of Athens, GA., LOVE the pop-up cards! Well done! Thank you for the cards and the generous donation! Thank you, Sandi G. of St. Petersburg, FL! Awesome Christmas cards! Snoopy rocks! Larie M. of Live Oak, FL, thank you for this terrific collection of cards! So may pretty Christmas cards! Awesome! Thank you Ruth B. for the cards and donation! So many pretty cards for our heroes to send home! Thank you Scrapbook Art Card Group and Jeri C. of Columbus, OH!! Wowzers, you people have talent! Thanks too for the donation!! Thank you Lois G. of Venice, FL and Sharon A. and the coworkers who helped with this huge box of cards! Wowzers! Thanks too for the Hero Mail! Jean B. of Meadville, PA, thank you for sending perfectly packaged pretty cards! Thanks to for the donation and the hero mail! Thank you Cyndi R. for the beautiful cards and the generous donation! Thanks too to you "Swap" Stampers at Stampers Life! Awesome cards! Thank you, Joan JF of Atlanta! Your cards are wonderfully creative. Thank you too for the donation and the hero mail! Carmen Z. of Northville, MI, thank you for the awesome cards! Something for everyone in that box! Thanks to Clare for the Hero Mail!! Thank you Virginia M. of Miamisburg, OH! These cards are awesome! Something for everybody! Carol L. of Gilbertsville, PA, thank you for the delightful cards, donation, and Hero mail! Love your skeletons! Thank you Pat L. of Voorheesville, NY, thank you for the beautiful cards and donation. Thanks too for all the extra work you do to support OWH and our Heroes! Thank you Denise D. for these stunning cards! Awesome designs! Thank you too for all the Hero cards! Thanks you Cheryl K. of Beech Island, SC for this awesome collection of cards and generous donation! Awesome designs! Leslie T. of Willoughby Hills, OH, thank you for these beautiful cards for our heroes and the donation for shipping! Cheryl B. of Manchester, NH, thank you for these beautiful Christmas cards! I'll be packing them this weekend! Rosey R. in Astoria, NY, your cards are fabulous! Thanks bunches for the Hero Mail!! Art F, IBOL guy...thank you so much for your gift in Anne's honor! Hope she has a lovely birthday! Seongsook D, Sacramento CA, thanks so much for getting your friends together - your kits made such cute cards! Bless you for your generous donation too! Karen G, Oakland Park FL, love your AnyHero letters and cards!! Thanks so much for sharing some with each of our shippers...we need them! Cindy O, Alameda CA, thank you so much, your cards are just beautiful....and your donation is much appreciated!! Donna M, Spangle WA - thank you so much for all these great themed cards...perfect for what I needed! Kim N, Bloomington IL - I just love your boxes of beautiful cards....keep them coming! Wow! Helen R, New York, NY, thank you for the gobble gobble cards...they'll make our heroes' families smile! Louise F, Frazier Park CA...so glad you've been back to your crafting table! Lovely work, thank you! Linda F, Camano Island WA, I picked up your cards at Paper Zone - they're all soooo beautiful! Thanks for the great packing job too! 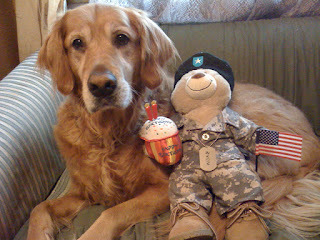 Denise L, Arroyo Grande, CA, love all your cards and I know our heroes will too! Velda S, Mesquite NV, thanks sooooo much, your cards are going to be loved. Your AnyHero mail too---they love to hear from you! Harriet L, Vista CA, thanks much for your package of cards....they're great as always! Fran B, Spokane Valley WA, your cards are so wonderfully embellished - beautiful! Thanks so much for your donation too! Cynthia C, Scottsdale AZ, your cards are here and are so cute - thanks so much! Thanks for all the great AnyHero mail and your donation too!! Kathy S, Reedley CA, thanks sooooo much, your cards are just lovely! Cherie K, Puyallup WA, thanks so much for your cards - and for coming to help out with packing up boxes! Sandra F, Irvine CA- your cards are adorable...thanks so much for them all! Susan S, Santa Ana CA, thanks for another grrrreat package of cards, they're just lovely! Janice A, Bountiful UT - wow on your amazing cards, you are so uber talented! Thanks for your incredibly generous donation as well! Leigh and Nancy, Houston and Fort Worth TX - so glad when you ladies get together, you're so creative! The cards are lovely! Your donation is much appreciated too! Kathay P, Humble TX, your generous ongoing donations are such a huge help to us for our heroes...thank you! Martha B, Santa Rosa CA, love love love your cards...our heroes will too! Thanks!! Virginia H, Hamilton OH - I've missed you! Thank you so much for all the great holiday cards...all the Hero mail!! ...and your generous donation! Wow! Jan C and the Phoeniz AZ Birthday Bash - wow!!! You had some party...glad you had some 'extreme amounts' of fun! Your cards are gorgeous...thanks for taking up such a great collection too! Jan S, Henderson NV - wowsers, what fantastic AnyHero cards!! You'll be making a lot of heroes smile :) Thanks so much for your generous donation too! Sandra H of Lewiston CA, thank you once again for your donation...wonderful folks like you help us keep going! Anonymous, Rice Lake WI.....thanks for the box of wonderful cards. Peggy G. of East Hanover, NJ, thank you for the awesome cards! You covered ALL the upcoming holidays! Thank you too for the donation! Thank you CRS Group of Gaithersburg, MD for these cards for our heroes! Carol B., Ruth S., and Sandi D., you all did a fine job!! Frony R and Visalia Sunset Rotary - thank you so much! So glad everyone there got involved :) Bless you for all the Hero Mail and your generous donation too! Many, many thanks to the Office of the NYS Comptroller Volunteer Team! Your cards are awesome! Our heroes will love sending these treasures home to family and friends! Thanks too for the Hero Mail! Mary H, Miaisburg OH.....what an fabulous box of cards!! Love them! 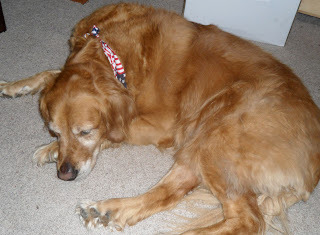 Carol C, Papillion NE.....another FABULOUS package of cards from you! THANKS! Maureen L, Cedar Rapids IA.....thanks for these gorgeous cards!!! Debbie A, Hoyt KS.....thank you for these awesome cards and Any Hero notes! Yvette E, Whittier CA - welcome to the OWH addiction! Wonderful first box - WOW! Thank you Sue K. of Crawfordville, FL for the wonderful cards! So many unique and clever designs! Mary P and Meadowbrook Christian Church, Mt Vernon IL.....another fabulous box of cards! Thank you! Mary P and Meadowbrook Christian Church, Mt Vernon IL.....another box of great cards. Love the Christmas ones!! Connie C, Marion IA.....thanks for these great cards. I was in need of some more Halloween. Alice W, San Jose CA, your cards are amazing!! Thank you so much! Nancy C, Warner SD.....beautiful cards! Thank you. Thank you Sue D. of Akron, OH! You sent a great collection of cards for our heroes! Mary S, Lenexa KS....another great package of cards! Thank you. Thank you Linda G of New Lenox, IL! Your cards are fabulous! Thank you too for your generous donation! Julie K, Minneapolis MN......thanks for these great cards. Suzette H of Vidor TX, bless you!! 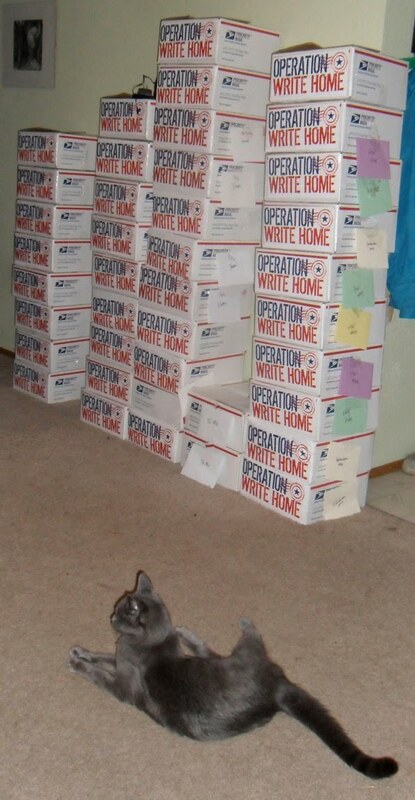 Your donation will assure many boxes will make it to our heroes this holiday season! Linda M, Marietta GA.....WOW! Awesome cards. Thank you. Susan T, Cypress TX.....WOW! Love these Halloween cards!!! Casse K, Deer Park TX.....thanks so much for these awesom cards!! Tara R, Higginsville MO.....thanks for the Halloween cards!! Tara R and American Legion Jr Auxiliary Post 223, Higginsville MO......thank you for these Halloween cards. Laura C, Ceres CA.....thanks for this beautiful card. Kelli D, Paragould AR.....thanks for these wonderful cards!! 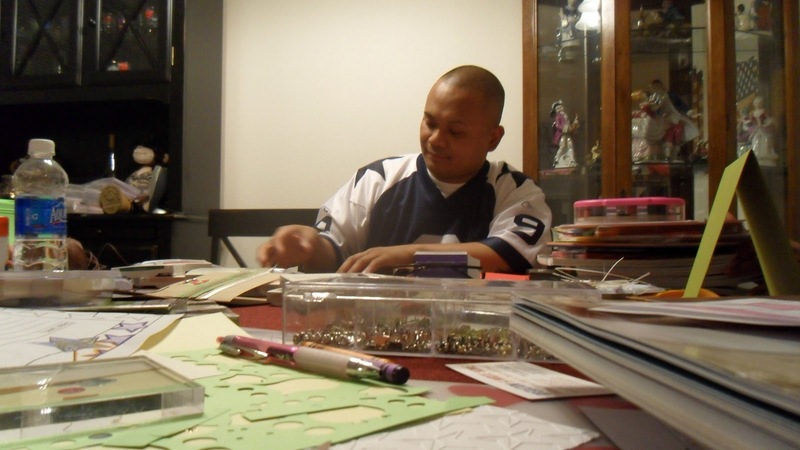 Mary E, San Rafael CA, it indeed looks like you had a great month of cardmaking - well done, thank you! Marian M, Ripon CA, thanks so much for your sweet cards! Chris F, Monument CO....thanks so much for these gorgeous cards and generous donation!! Thank you Laura J. of Newfoundland, PA for this terrific collection of cards. Love the Halloween Cards! Susan D, Tinley Park IL......what an awesome package of gorgeous cards! Kara K. of Akron, OH, thank you! Love your Iguana cards! Too cute! Many thanks to the Maumee Ohio Stampin' Up! Ladies! What a terrific collection of cards you sent for our heroes! Love the holiday cards! Joanie K, Avon IN.....What an awesome box with many fabulous cards and generous donation! Thank you. Arizona State U Society of Women Engineers - wow! You've poured your hears (and wicked engineering skillz!) into these cards. Great job! Sharon N and Ladies Group, Waterloo IL......I'm stunned at how many boxes you have sent in during the past few weeks. YOU ALL ROCK! Cindy D, Palantine IL....what a fabulous box of cards! Thanks! Students at Immaculate Conception School, Columbia IL....thanks so much for taking time to make cards for our heroes! Janet B, Nixa MO.....Welcome to OWH! Your first package is awesome! Fran G. of Powell, OH, thanks for the friendly ghosts! Perfect! Thank you too for the generous donation for shipping! Pamela M, Portland OR, thanks so much for your Hero Mail...you'll be lifting spirits for sure! David & Brenda C, Glen Elder KS......thank you for your wonderful donation to OWH! Thank you Joanne H. of Dayton, OH for the cards for our heroes! Awesome designs! Faye F, Fargo ND.....WOW! What a fabulous box! These cards ROCK! Thank you Kathy M. of Quakertown, PA and the customers of Memory Lane for the terrific cards for our heroes! Thanks too for the donation! Barbara G, Columbia MO.....What fabulous cards! Thanks for sending them in to share with our heroes! Phyllis G, St Paul MN.....what a wonderful package of cards! Thank you. Mary C of Glen Carbon IL, your generous donation is MUCH appreciated!! Debbie G, Arlington TX.....Welcome to OWH! These are beautiful cards. Steffani L. of Wilmington, NC, thank you for these awesome cards! Love the spider webs! Thanks too for the generous donation! Janet H, Colby KS.....Thank you for this box of fabulous cards!! WOW! Beverly D, Rochester NY.....thanks so much for these great cards! Debby P, Buffalo MO....another box of FABULOUS cards! Thanks so much! Carol G, Kalamazoo MI....these cards are beautiful. THANK YOU! Anne B, New Zealand.....more fabulous cards!! Thanks so much. Teresa K, Vancouver WA - aweeeesome cards, I love them! Thanks so much for your AnyHero mail and donation too... you rock! Emily O, Phoenix AZ......thanks for this box of nice cards. Thank you Lin B. of Canton, OH! These cards are simply amazing! Thanks for the Hero Mail too! Betty T, Salina KS.....thank you for another rockin' package of cards! Sharla V, Topeka KS....thanks for these awesome cards!! Missed you! Bonnie D and Richland Middle School Students, Muscoda WI.....thanks for taking time to make these great cards for our heroes!! Joyce L and Green Valley Rubber Stampers Club, Green Valley AZ...WOW! What an awesome box of cards! FABULOUS! Cheryl G, Joplin MO.....thanks so much for this generous donation to OWH! Thanks Lynn F. of Cary, NC for these pretty cards. Love the fall colors! Kay C, Minnetonka MN.....thanks for these wonderful cards!!! Judy S and friends, Bakersfield CA - love this big box of gorgeous cards, THANK YOU! Bless you for your donation too! Jeany F, Webb City MO.....thanks so much for these awesome cards!! Toni B, Lincoln NE...WOW! Three boxes of wonderful cards!!!THANKS!! Sherry J, Minnetonka MN.....thanks for these awesome cards. Judy S, Marysville MI.....Welcome to OWH! These cards are beautiful! Dawn M, Eagan MN.....thanks so much for these gorgeous cards! Welcome to OWH! Patricia J, Killeen TX.....thanks for these awesome cards!! Jessica M, Fremont CA, you're so welcome for the stamp - thanks for using it on all your beautiful cards for me! :) Made my work a breeze! Your donation is hugely appreciated! Barbara H, Milton WI....thanks for the great cards and Any Hero notes! Tabbitha F. of La Follette, TN, thank you for the awesome cards! So many designs! Love the snowmen! Rosalie R, Macomb MI.....another great package of awesome cards! Teri A, Iowa City IA.....WOW! Wonderful cards. Thank you so much! Barbara H, Staples MN.......thank you for supporting OWH with your donation. We appreciate it. Debbie K, Casa Grande AZ, wowwww what a fantastic big box of cards! Beautiful - and beautifully packed! Martha H, Los Angeles CA....thanks so much for these great cards!! Thank you Melba S. of Orlando, FL for the cards! The Spanish sentiments will be a big hit! Sandra R, Ballwin MO.....awesome cards! Thank you. Elizabeth K, Beaumont TX...Welcome to OWH! Your first package of cards is awesome! Diane B, Edina MN....WOW! What a fabulous box of awesome cards! Michele M, Macomb MI.....your cards are wonderful!! Love them! Thank you St. Lawrence NYS ARC and Diane R in Canton, NY for the cards for our heroes! Something for everyone! Marian J, Huber Heights OH.....another fabulous box of cards!! Thank you! Linda H. of Louisville, KY, thanks bunches for these awesome cards for our heroes! Thanks for the Hero Mail too! Lori E, Mascoutah IL.....thanks for this awesome box of great cards! Kristen C and Sandy G, Pingree Grove IL.....thanks for hosting a party and getting all these cards made. Thank you Toni C. of Washington, DC for this great collection of birthday cards! Karen W. of East Quogue, NY, thank you for the awesome cards and generous donation! Thanks for being a proud Army mom too!! Donna C. of Stamford, CT, thank you for the terrific cards for our heroes to send to their families and friends. Thanks too for the clever Hero Mail too! Cindy M and Friends of Checkered Cottage, St Louis MO.....another OUTSTANDING box of gorgeous cards. Mr and Mrs Clarence Y, St Mary's KS.....thank you for your donation to OWH! Lora B, Columbia MO.....thanks for these fabulous cards!!! Joy S, Columbia MO.....thanks so much for these beautiful cards! Cara Lou R, Sacramento CA, thanks so much for your lovely cards! Dawna L, Bloomington IN.....thanks for this wonderful package of cards and Any Hero notes. Nanetta B and Pikes Peak Sunday Stampers, Colorado Springs CO........another awesome box. YOU ROCK! Jeannine J, Pittsburg CA, thanks so very much for your cards!! Beautiful!! Sandee Q. of Akron, OH, thank you for the cards! Tou sent a terrific variety, and they're so pretty! Thank you too for the Hero Mail! Sue S, Papillion NE.....This box ROCKS!! Thanks so much!! Sue S, Papillion NE.....thank you for this awesome box of beautiful cards!!! Karen H, Monticello MN....another fabulous package of cards. Thanks so much. Melodee R, Salina KS.....thanks so much for your donation to OWH! Elaine P, Salina KS..... we appreciate your donation to OWH. Thank you. Veronica B, Oronogo MO.....thanks for these great cards! Barbara R, Big Bear Lake Ca, fantastic first package of cards, thanks so much! Welcome to the addiction :) Your donation is greatly appreciated! Jessica Lynn, Milwaukee, WI......thanks for these great cards. Love this owl! Theresa E, Wenatchee WA, your cards are just wonderful, our heroes will love them! Jodi R, Bennington KS.....thanks so much for your donation. We appreciate it! Debbie R, Dixon MO....these are gorgeous!! Thank you! Thank you Tavern Scrappers and Bev T. of Burgess, VA for your clever cards and generous donation! Sandra K, Sherwood WI....thank you for these wonderful cards. Cardmakers....we have some sad news for you, and yet an opportunity that we can't pass up! Captain Dale Goetz, Chaplain, was killed in action just weeks ago, August 30, 2010, in Afghanistan. He is the first Chaplain to die in combat since the Vietnam War - almost exactly 40 years ago. Chaplain Goetz leaves behind a wife and three boys, ages 10, 8, and 13 months. The Chaplain and his unit had not even been in-country for a month when he and four other Soldiers were lost when their Humvee was hit by an IED. In all, this unit lost 10 Soldiers in their first month - and are dealing with deployment without the one whose job it is to keep up morale: their Chaplain. OWH is taking on Chaplain Goetz's unit to receive cards, and a box is going out to his Chaplain's Assistant immediately - packed with the best of the best for them! AnyHero mail. We'd love to shower them with mail from home after all they've been through in such a short time. If you'd like to send a note of encouragement, please send it to our Federal Way location - please do not mention the tragic loss, they need uplifting messages and not reminders of their unit's angst. Mark your letters "GOETZ" on the outside envelope or with a stickynote and we'll make sure that card or letter makes it into one of the boxes upcoming for that unit. Cards will be sent in each of their boxes for months to come, so please continue sending mail. 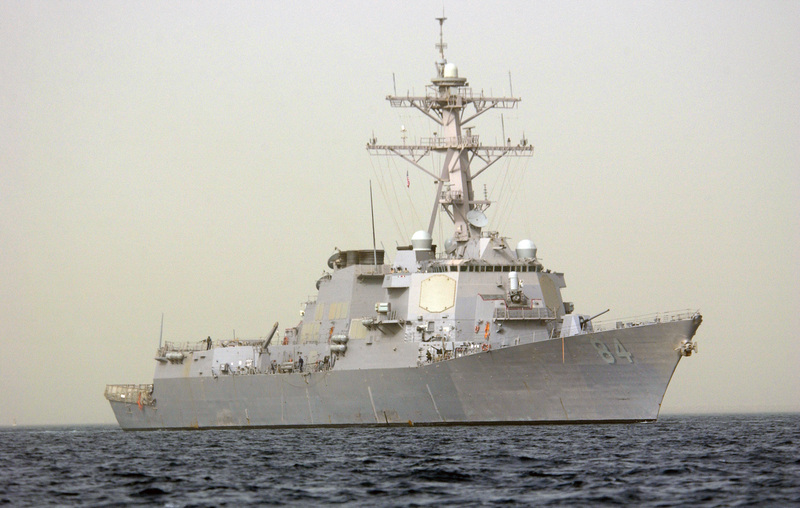 All our shippers need more letters, but the Washington address will be the one taking on Goetz's unit. Make a donation. The Goetz family has set up a memorial fund. Dale often purchased materials with his own money in order to have up-to-date, relevant information for his soldiers. This fund will allow chaplains to access money without having to dig into their own wallets. Make more cards! OWH is able to support units like this because of wonderful, generous crafters like you. Your donations of cards and finances help us continue supporting those standing in harm's way - and encouraging those going through severe trials as this unit is suffering. Thank you for your continuing support! Many thanks to Becca, a cardmaker and a member of a Chaplain's Spouses group, who made us aware of this special need and is connecting us with the unit on the ground. This week 5,440 cards were mailed out - at a cost of $200.00! 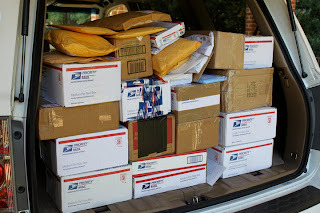 That's just the ones mailed; each shipper now has growing piles of boxes with thousands of cards ready for Thanksgiving and Christmas, thanks to all of you who have mailed them in nice and early! Your ongoing fundraising efforts will be helping to get these giant piles of mail out to our heroes - keep up the great work! With the close of Halloween shipping coming, it's really important for you to let your shipper know if there are Halloween cards coming between now and Sept 20th - so we can plan what boxes to hold back to tuck yours in. Thanks for your help! PS Check out the Hero Blog for some new photos that just came in! Debra R, Westminster Ca, thank you so much...I especially love hearing that you had such a wonderful team building exercise making cards! Tammy R, Reedsport OR, bless you for the packet of cards, these are awesome! Vicki and everyone at Treasured Memories - I've gotten so used to all these boxes from your crop - what will I do without my weekly dose of you? Love these, thanks so much for another perfectly packed box! Gail S, Sacramento CA - oh my have you been BUSY! You made all these yourself, I am incredibly impressed! Thank you! Thank you, Jeanne FE!! You're a card maker now! And a good one too! Thank you! Pat G. of Upton, MA, thanks for the cards all ready to go! Thank you too for the mail for heroes! There's a card for everyone in this collection! Helen S, San Diego CA, your cards are lovely, thank you! Susan G. of Barnegat, NJ, thank you for the cards, donation, and hero mail. What a nice variety of pretty cards you sent! Something for everyone! Pat S. of Spencerport, NY, thank you for the cards and donation! Love the cards with your "fall" artwork. Beautiful! Linda N, Caldwell ID - thanks so much for all the cards - and your generous donation! Paula S. of Stamford, CT, awesome cards and generous donation! Thank you! Thanks bunches for the liners!! Made my day! Karen L. of Danville, PA, thank you for the beautiful cards and generous donation! Your card designs are fabulous! Thank you Joyce W and friends in Baton Rouge, LA for the cards, donation, and hero mail. Well done!! Marianne P, San Diego CA, thanks so much for your cards! Ann K, Seattle WA, thanks for another great package...yay on beating the deadline! Cathy W, Elbert CO....WOW! This is a wonderful box of beautfiul cards. THANKS! MS Higerd, Colby KS.....thanks for these awesome cards!!! Becca A. of Leesburg, PA, thank you for the super collection of cards! Wow! Great job for our heroes! Thank you Mr. and Mrs. 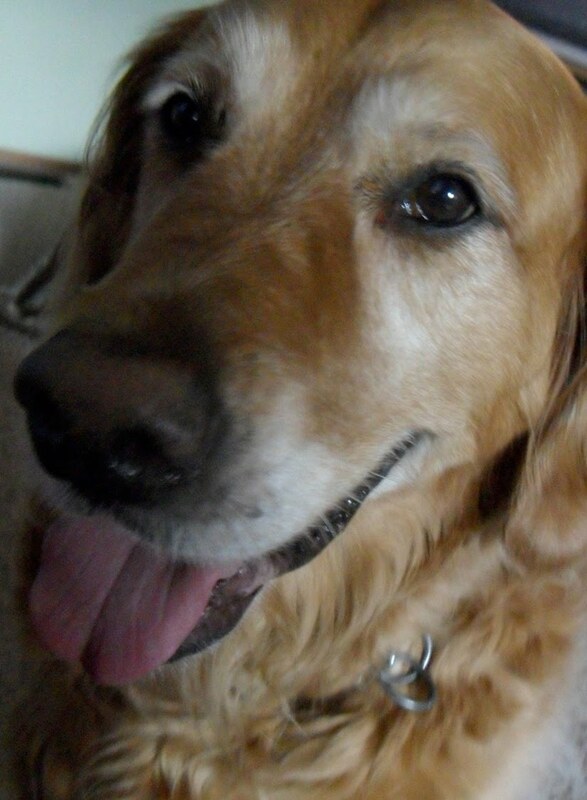 Basil S. of Pearl River, NY for the cards! Sharon N, Waterlook IL......thanks for another box of fabulous cards! Rhonda E, Paola KS.......What a great package! These halloween cards are "FANG-TASTIC"! Thank you, Stamping Queens and Treasured Memories Scrapbooks and More in Englewood, FL for the super cards, hero mail, and donation! Well done! Paula P. of Bellvue, OH, your cards are amazing! You're a clever crafter! Thank you for the cards and the donation! UnitedHealth Group "Dollars for Doers" Program - thank you for matching Joy's volunteer hours with a financial gift!! Your company's generosity is much appreciated! Mary Jo S, Arizona City AZ.....thanks so much for these beautiful cards. Cindy M and Friends of Checkered Cottage, ST Louis MO...another fantastic box of awesome cards! Mary S, Taunton MN.....thanks so much for these great holiday cards! Sue A, Rockford IL......another box of awesome cards! Love your style! Carrie W and friends, Clarksville TN.....thanks so much for these awesome cards! Carol B, St Louis MO.....thanks for this box of wonderful cards in so many different themes. Nanette B and Pikes Peak Sunday Stampers......thanks for another wonderful box of cards! Nancy M and FUMC Middle School youth......thanks for taking time to make these cards for our heroes. Much Appreciated! Polly R, Peoria AZ...your cards are awesome, thank you so much! Our heroes will love them! Tina B, Lincoln CA, thanks so much for your packet of card and AnyHero notes! Thank you Bella Studio, American Legion Post 685 and Samantha K of Kent, OH!! Beautiful cards for our heroes! Thanks too for all the terrific cards for "Any Hero"!! Connie H of Sebring, FL, thanks for the great collection of cards! The post cards are a terrific idea! Thank you, Lindsay M. of Carrboro, NC!! Awesome cards! Love the Halloween punches! Thanks too for the donation! Carole B, Allen TX....what beautiful cards and Any Hero notes!! Megan W, Decatur IL.....thanks so much for this awesome box of beautiful cards! Leah C, St Paul MN......WOW!! Two great boxes of cards! These are awesome. Cheryl Y, S Pasadena CA....I always love getting your boxes! Such cute cards, thanks again for another generous donation! Yolanda D, Warrenton MO....another fabulous box of great cards! Thanks so much for them and the donation! Kathy C, Highlands Ranch CO.....thanks so much for these gorgeous cards and the generous donation! Lola M, Vancouver WA - thanks for the cards...glad to hear you connected with other OWHers in your area too! Cathy B, Columbia SC...thank you sooo much for your generous donation! Amy S, Aurora CO, love your cards, thanks so very very much! Chris C, Parkland WA, thanks so much for these cards of all themes!! Maria, Fran, Lisa, and Megan, Ephrata PA - WOW! What a box of beautiful cards, thank you so much! Gale A, and everyone at Thursday Therapy, your cards are fannnnnntastic, thank you so much!! Thank you Margaret P for these delightful cards for our heroes! Awesome! Laurie W. of Evans, GA, thank you for these fab cards! The jokes in the Halloween cards is such a clever idea!! Sandy R. of Lawrence, MA, thank you for the beautiful cards and hero mail! Love your designs!! Fun! Lily H. of Pittsburgh, PA, thank you for the elegant cards for so many occasions! Thanks too for the extra sentiments! Connie I, Skiatook OK....Thanks so much for these wonderful cards! Debby M, Las Cruces NM.....more gorgeous cards!!! Thanks. Polly P, St Paul MN....thanks for the Halloween cards, I really needed them! Nikki M, APO AE......WOW! Fabulous cards......love your style! Jennifer M, Marshfield WI.....these are awesome! Thanks so much. Melissa M, Ames IA.....Thanks so much for these awesome cards! Dorothy B, Corpus Christi TX....WOW! 4 boxes of cards and beautiful ones at that! Mary Ann S, Fontana CA, your cards are always so darned cute, thanks so much for them all! Amanda J and LUMC Women's Group, IN.....thanks so much for these wonderful cards. Thanks, Robin G. and Stephanie G. for the awesom Halloween cards and the generous donation! Fang-tastic! Sherry H. of Arlington, VA, thank you for the cards and donation! Your "love" cards are stunning! Kristen, Mary & Theresa C, Pittsburgh PA.....thanks for these fabulous cards. Sarah B, Cypress TX.....great cards. Halloween ones were greatly needed. THANKS! Diane I of Lebanon, PA, many thanks to you and your granddaughter for these terrific Halloween cards! Thanks too for the generous donation! Laura J, Albuquerque NM.....what a wonderful box of beautiful cards. Louise F, Frazier Park CA...thanks so very much for your wonderful and generous donation! Lindy C, Seattle WA, love love love your cards, thank you so much! Thanks for the hero mail and donation too, you're awesome!